For most of us, our everyday carry consists of our phone, wallet, and keys. However, everyone has “one of those mornings,” when it’s impossible to find our essential items before starting work. Tile’s solution is a Bluetooth-enabled tag that you can attach to your wallet or keys so that you can locate them easily. For those who want to minimize their EDC even further, Tile has teamed up with KeySmart to create the KeySmart Pro, combining your key holder and locater tag in one. It's normally $60, but you can get one for just $32 with code CMSAVE20 at checkout. 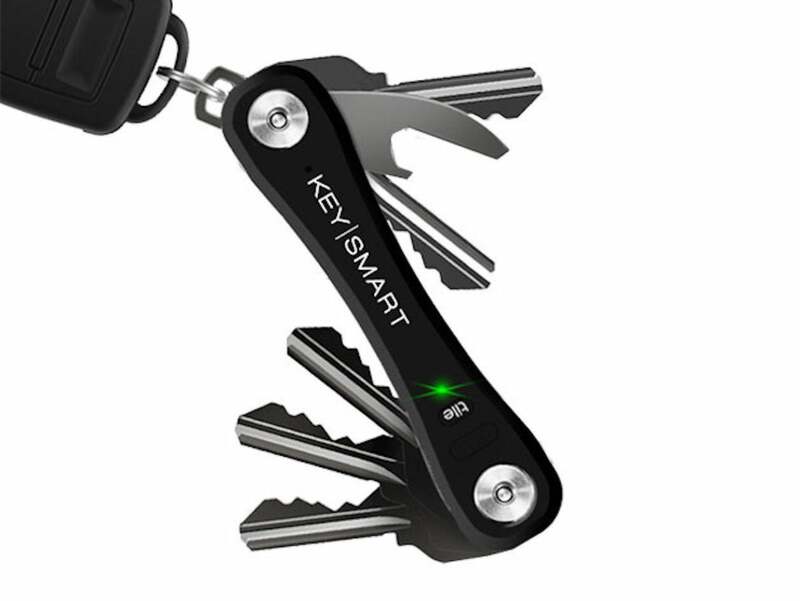 KeySmart creates Swiss Army-style key holders to help you streamline your EDC. Attaching a Tile to your KeySmart would add more bulk to your pockets, which is why KeySmart and Tile collaborated on an all-in-one solution. The KeySmart Pro provides the best of both worlds, holding up to 10 keys and ringing when using the Tile app locator. Additionally, the Tile app will display the KeySmart’s location on a mini-map, so you’ll know exactly where you left it. Finally, the KeySmart Pro acts as a reverse-Tile, allowing you to ring your phone should you misplace it. With the KeySmart Pro, you’ll never have to worry about losing your phone or keys again, and you can buy it in black, red, or white from the Macworld Shop for $32 with code CMSAVE20 at checkout.